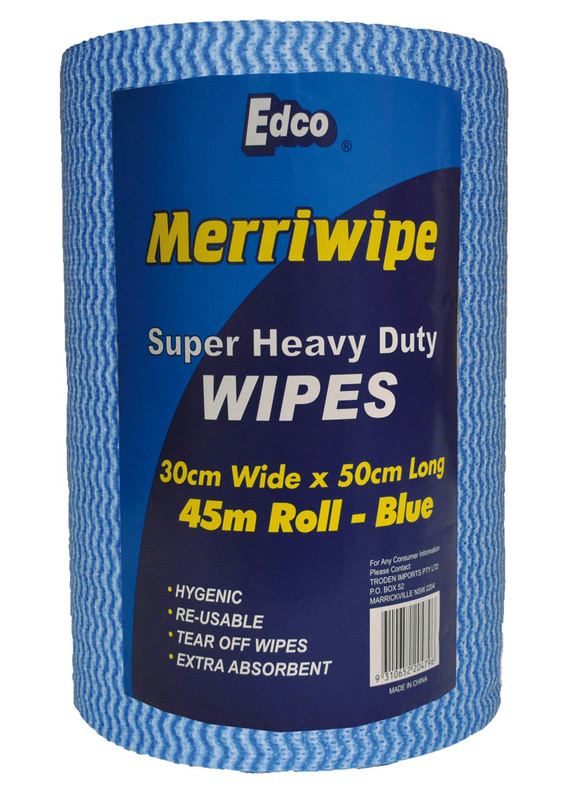 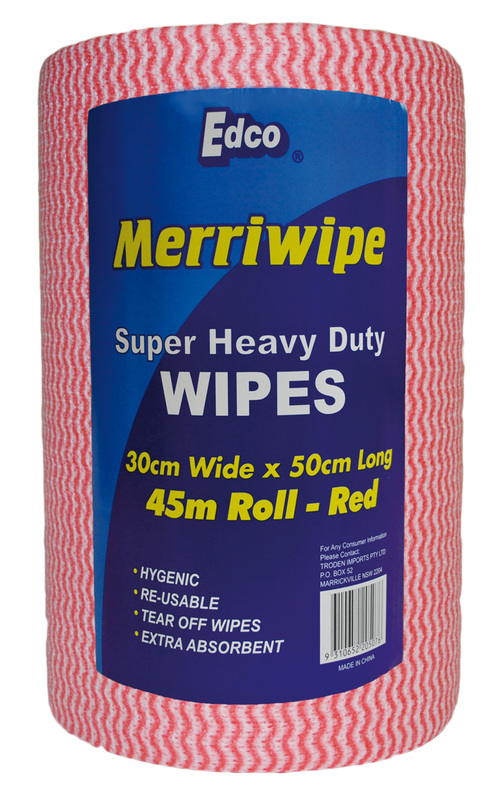 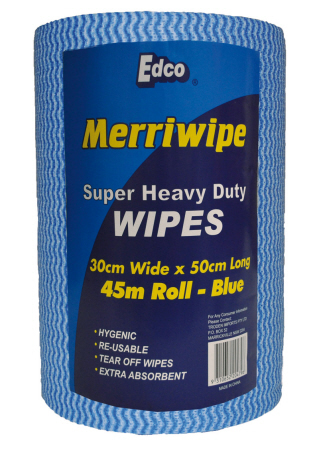 The Merriwipe range of cloths are the ideal cleaning cloth. 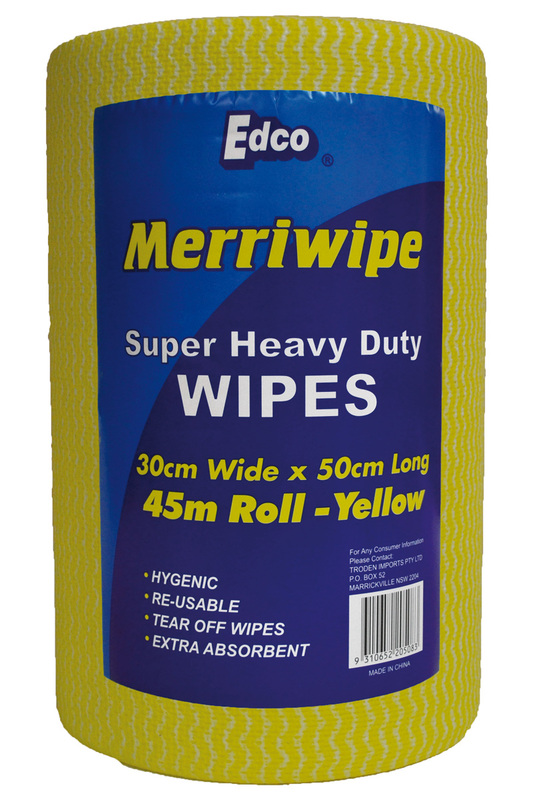 Their thick dense structure give them the ability to stand up to heavy duty work in cleaning and industrial situations. 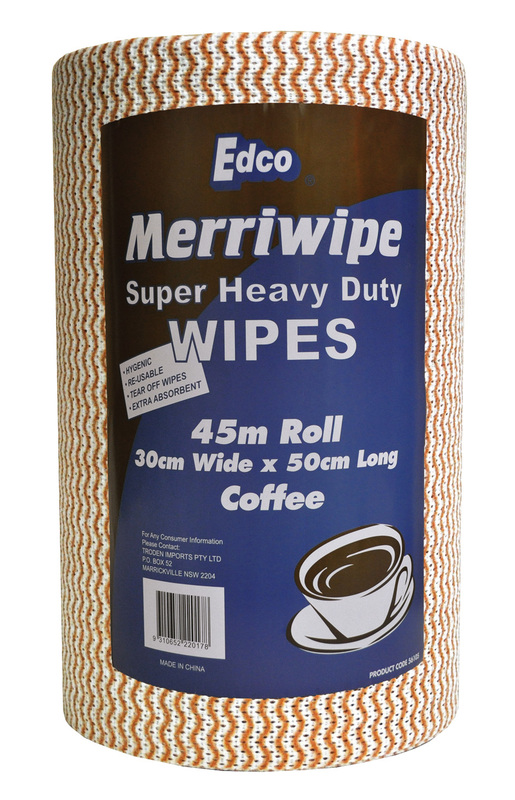 Highly solvent resistant these cloths will pick up oil, ink and most other common fluids and come in an easy to use 20pk or the bulk roll version. 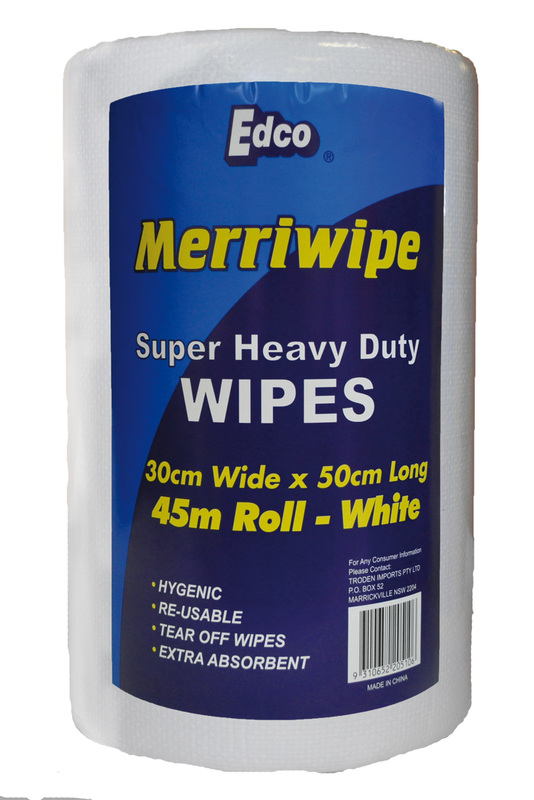 These cloths combine the strength of synthetic fibre with all the natural super absorbent fibres of viscose to make them the most absorbent wipe. 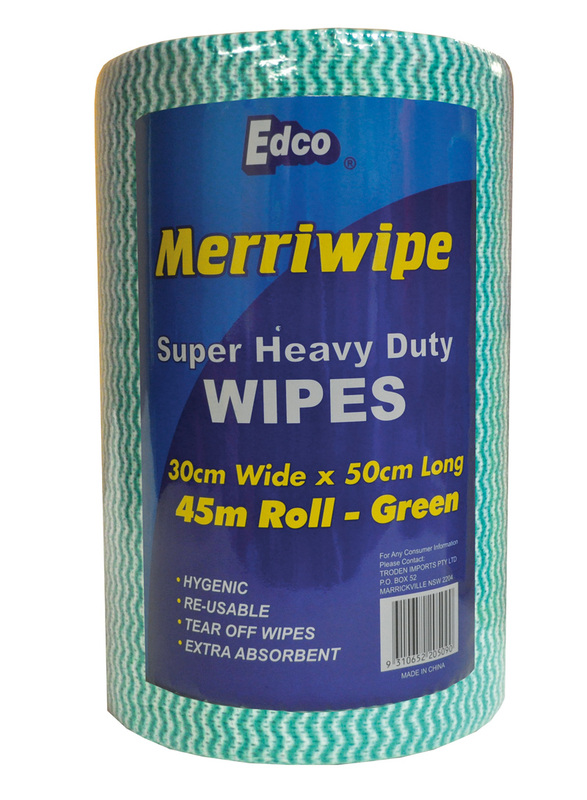 Can be used wet or dry and is a reusable product.